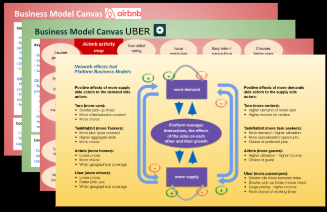 Last time I have shown how the platform business model can unlock the potential of the sharing economy. 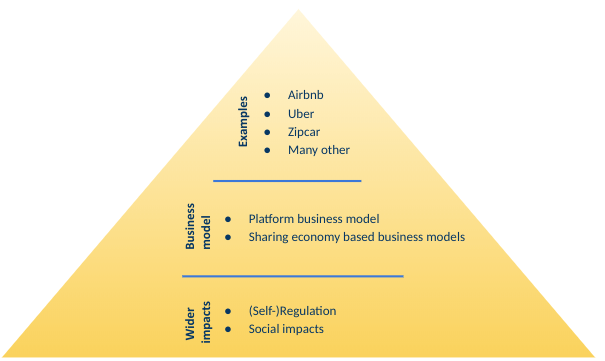 The sharing economy is a significant socio-economic trend with massive potential. 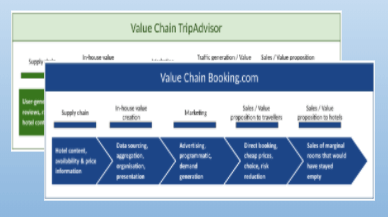 Here is the platform business model value chain that we came up with last time. Most of the early bike-sharing companies required bikes to be picked up and dropped of at docking stations. More recent ones have gone to dockless bikes. The idea behind it is the reduction of search and transaction costs. 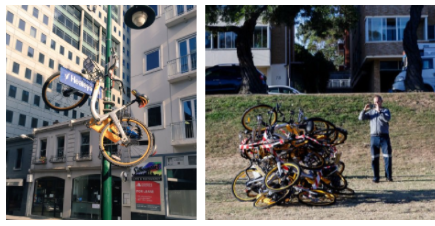 Given a sufficient supply the big – and to be tested – assumption is that users will drop the bikes off where others want to pick it up. The following snippet from Sydney shows this may not be always the case. Business Insider reports about one of the negative externalities to the councils: “A week after the council unanimously backed his plan to begin removing the bikes from the streets, rangers impounded 60 on Monday. It will cost $70 to get them back, but the council is currently seeking legal advice on whether it can charge up to $500 for their return under environmental legislation. The drawbacks associated are called negative externalities. It means that our innovation poses issues and risks to non-users (think of car polution or aircraft noise that affects the respective neighborhoods). 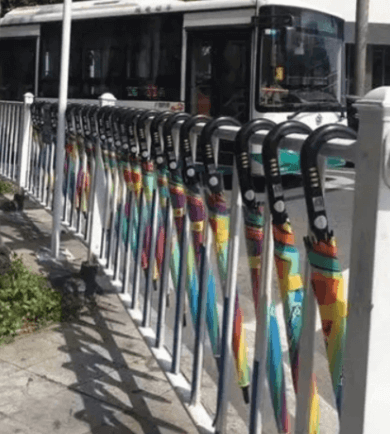 With end-user determined asset distribution models comes the risk of damage, theft, abandonment and negative externalities such as excessive build-up but also safety and illegal/unsafe parking. But Sydney is tiny compared to other cases. 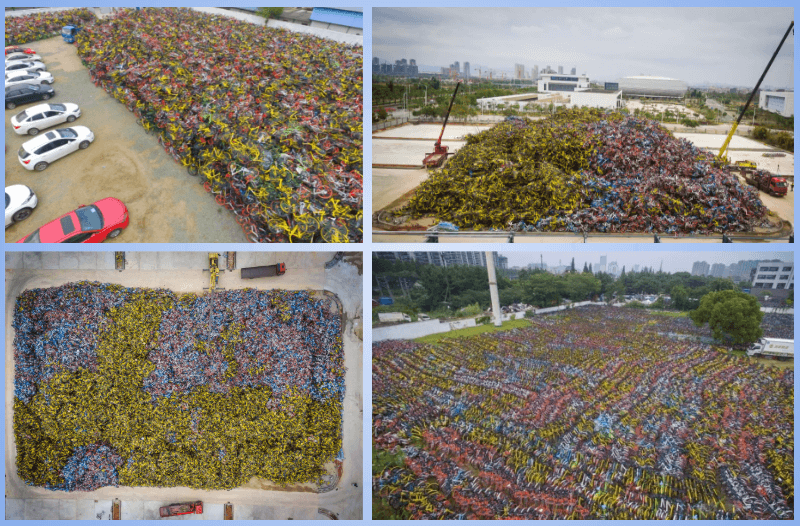 Bike-sharing companies in China trying to gain an elusive first-mover advantage end up with an over-supply which exacerbates negative externalities. You have seen in our examples article that innovators have started sharing items on the go, such as umbrellas, phone batteries, etc but from a docking/dispensing station. Other innovators have gone the next step to make these items dockless as well. These are reasonable regulatory concerns. As an innovator you can take these into account proactively or hope to muddle your way through. But the latter “approach” might end up costing you a lot of money as can be seen in the case of abandoned, damaged and stolen items. People affected by negative externalities may decide to express their opinion in unacceptable or over-reacting ways. No doubt a proactive approach will be the better choice. Before I come back to this, first let’s look at positive externalities. It’s not all bad. Of course our ideas can also have positive externalities, i.e. beneficial effect to non-users. In the case of bike-sharing it can stimulate the local economy. Now, the question is how to take advantage of these kind of positive externalities. One way is to enter mutually-beneficial collaboration with those that reap the benefits of the positive externalisties. In this case, the bike-sharing company could collaborate with local shops and offer special deals to the bike users. Or both could enter reciprocal special offers. This could stimulate both the local shops and the sharing platform. 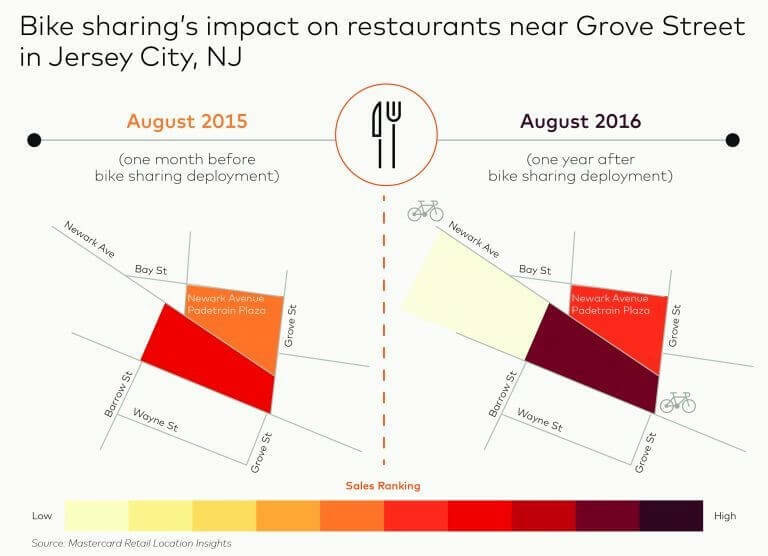 It brings us back to the point that the sharing economy allows us to connect with people in our neighbourhood that we didn’t interact with previously. The platform business model unlocks many new ways to connect and transact with people nearby. 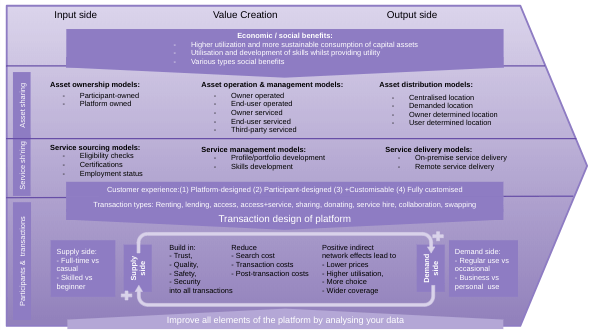 The impacts associated with asset sharing are a challenge but they are dwarfed by the direct and indirect impacts of service (and asset + service) sharing platforms. Many of these platforms are included in the term “gig-economy”. Now, the gig-economy is wider than sharing platforms and includes contract, temporary and freelance work arrangements. But food delivery platforms and Uber are some of the poster children of this type of labour market. 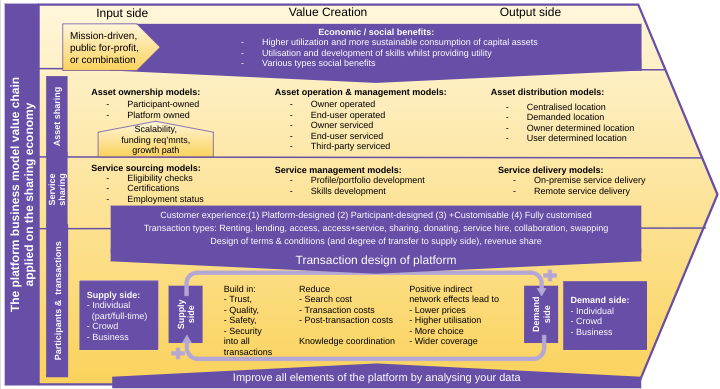 This is why (for the sake of this discussion) I categorised asset + service platforms in the same bucket as service platforms (TaskRabbit, Freelancer.com, etc). Some innovators are not aware of the externalities caused by their ideas. But the larger platforms take this topic very seriously. And there are great innovation opportunities in this field. How does the public see the state of “gig-work”? What are the contentious topics (direct effects)? What are some indirect effect (externalities on non-users)? What the platforms can do: Can innovation be the solution? What the regulator can do: What to do with existing regulations put in place for a different type of economy? 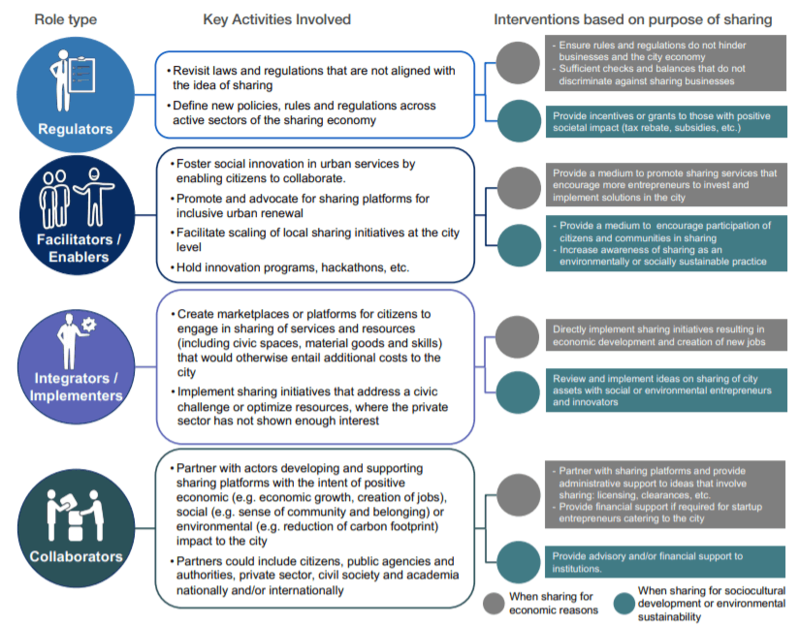 Innovators proposal: guiding principles for long-term solutions? Is the gig-economy evil in disguise or a saviour? You will not be surprised to hear that left-leaning sources condemn the gig-economy as exploitative while liberal sources see it as an opportunity that should not be stifled by heavy regulatory burden. But what do people think? It is important that innovators manage the negative impacts before public opinion settles on a negative perception. Once this happens there will be pressure on the regulators for heavy intervention. Now let’s look at the raft of topics that need to be sorted out and how some of the most prominent innovators get involved in the discourse. Safety or weather gear: Where relevant, the question is who will pay for safety or weather gear. Do DIY-jobbers need to have their own rain gear when working in someone’s garden in rain and what about food deliverers? So, this is the issues space. Before we get into the solution space, lets also have a quick look at positive impacts. These are just a few sources. The obvious reason that Uber and Airbnb get so much airtime compared to other sharing economy platforms is their popularity. Can innovation be the solution? Now let’s look at the solution space. In my view there are four elements to it: (1) what the sharing platforms can do (2) what regulation can do and (3) joint efforts and potentially (4) what 3rd parties can do. I am focusing on the first three in the next few sections as these are the best outlined options to date. Uber might be “motivated” by losses in court over workers’ employment status in the UK. But these are interesting experiments that may be rolled out to other countries. But the platforms can’t solve all problems by themselves. Some of the issues are simply caused by outdated regulations over a 100 years old. 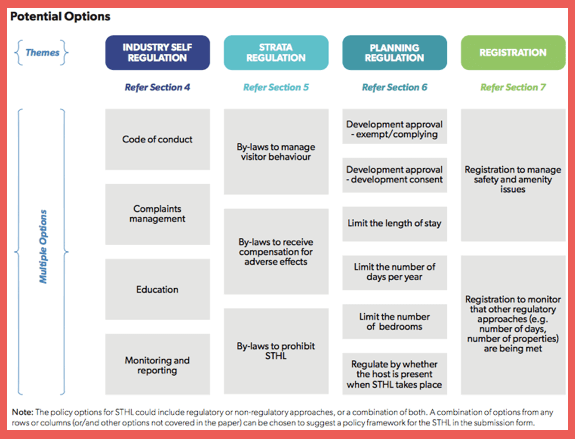 The state of New South Wales (where Sydney is located) has issued an options paper that shows the themes of interest in relation to potential regulations. You can see a variety of approaches on the topic. Encouraging to self-regulate some of the elements and sharing of relevant data can be an innovative approach. Innovators need to be in constant constructive dialogue to contribute to mutually-beneficial outcomes. Flexible and pro-rated: People are pulling together income from a variety of sources, so any vehicle should support contributions that can be pro-rated by units of money earned, jobs done, or time worked, covering new ways of micro-working across different employers or platforms. This is also what professor Sundararajan has proposed in a policy briefing (pdf) to the policy department of the European Union (though with small tweaks). The scheme would allow drivers to build up benefits, such as paid sick leave, that would follow them from job to job. These are all very good approaches that would likely be used some combination. Not everything will be solved in self regulation. Some elements will always have some external parties involved. 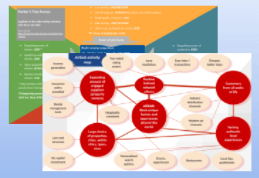 So, to conclude let’s have a look at which generic roles and activities may be involved in governing sharing platforms. Here is a little infographic summarising the article. I am sure you agree that sharing economy platform businesses can provide economic benefits to their participants when done right. I have covered the sharing economy in great depth (5 articles). 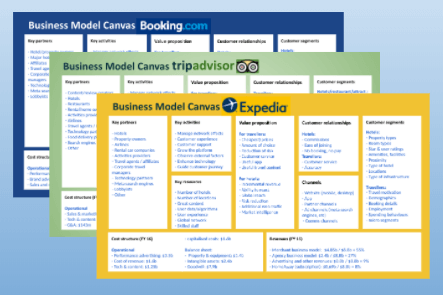 And I have covered the platform business model in even more depth (8 or more articles). 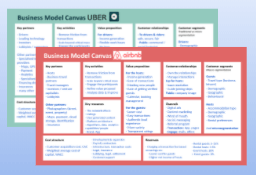 The platform business model is *the* business model that practically all sharing platforms use. 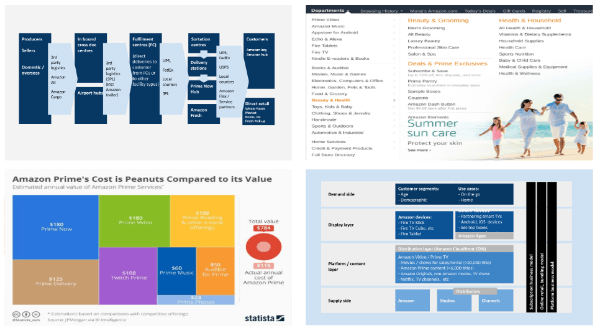 Get the sharing platform business model value chain infographic in high resolution into your mailbox. Just enter your email address below (even if you are already a subscriber) and check your inbox. You can unsubscribe anytime if you change your mind.